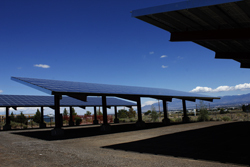 Information about renewable energy initiatives at the City of Albuquerque. Visit the Department of Energy website. Note: Monthly meetings every third Wednesday of the month from 8 a.m. to 10 a.m.
Photovoltaics (PV) is the technology and research and development related to the application of solar cells for energy by converting sunlight directly into electricity. This is called the 'photovoltaic effect'. Sunlight is composed of photon -- packets of solar energy. These photons contain different amounts of energy that correspond to the different wave lengths of the solar spectrum. 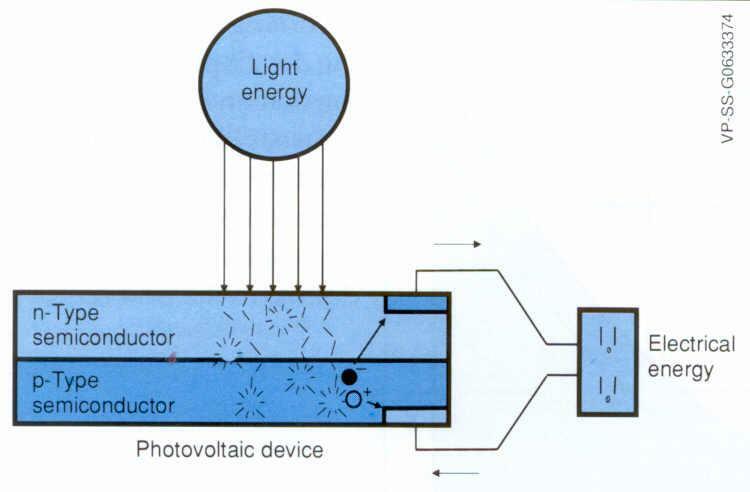 When photons strike a PV cell, they may be reflected or absorbed, or they may pass right through. The absorbed photons generate electricity. The energy of a photon is transferred to an electron in an atom of the semiconductor device. With its new found energy, the electron is able to escape from its normal position associated with a single atom in the semiconductor to become part of the current in an electrical circuit. Special electrical properties of the PV cell built-in electric field provide the voltage needed to drive the current through an external load. 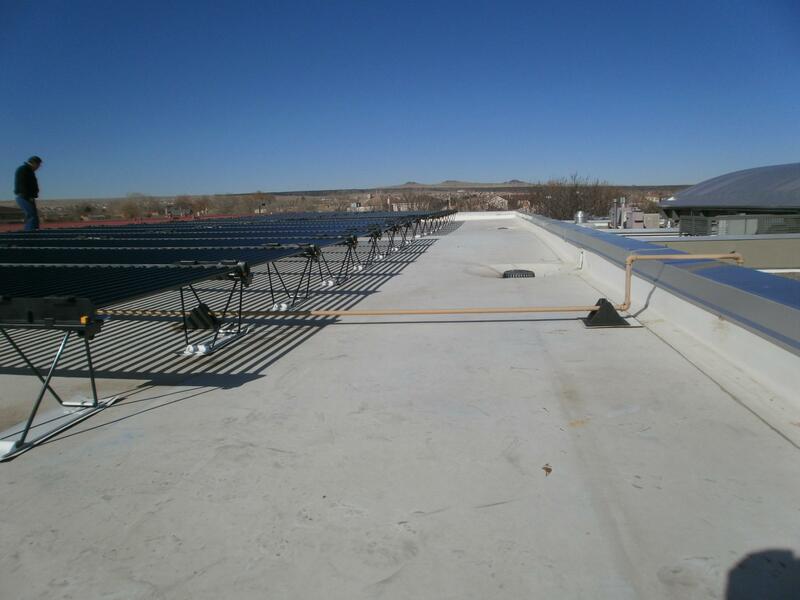 These thin film PV systems were installed in conjunction with thermoplastic polyolefin (TPO) roof systems to reduce heat surrounding the PV systems, which enable the systems to generate more electricity year round. 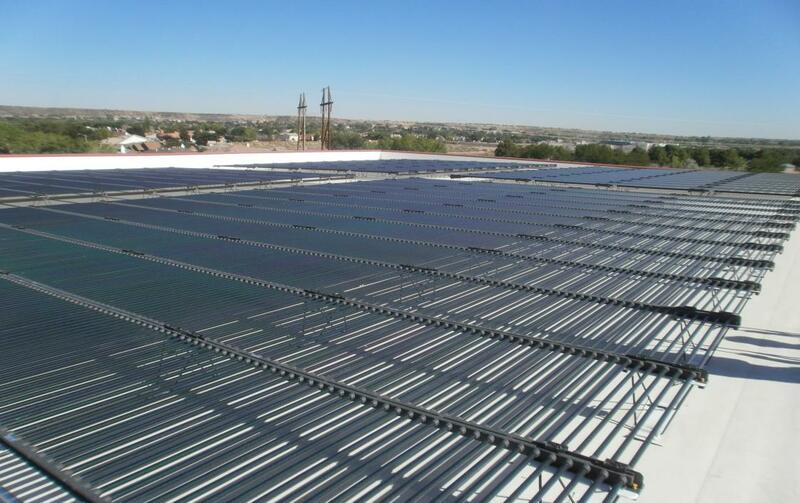 According to Energy Star and the EPA, TPO is a recommended substrate for the installation of Thin Film PV systems. The panels employ cylindrical modules which capture sunlight across a 360-degree photovoltaic surface capable of converting direct, diffuse, and reflected sunlight into electricity. The tubular design is "self-tracking". Collecting light around a 360 degree surface allows it to capture more light early and late in the day. 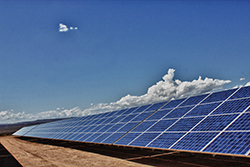 This consistent power generation during the day allows the use of a smaller inverter, saving costs and benefits the overall energy yield of the system over time. 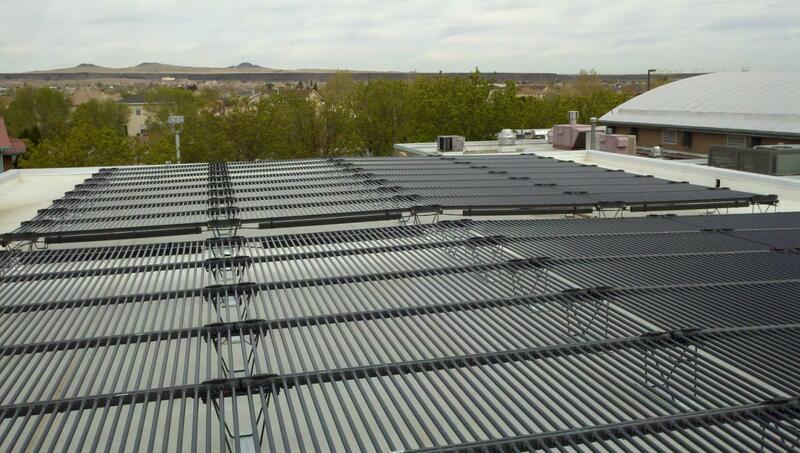 Read more about Cool Roof Systems . 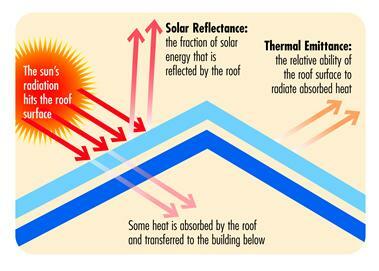 A cool roof reflects and emits the sun's energy as light back to the sky instead of allowing it to enter the building below as heat. 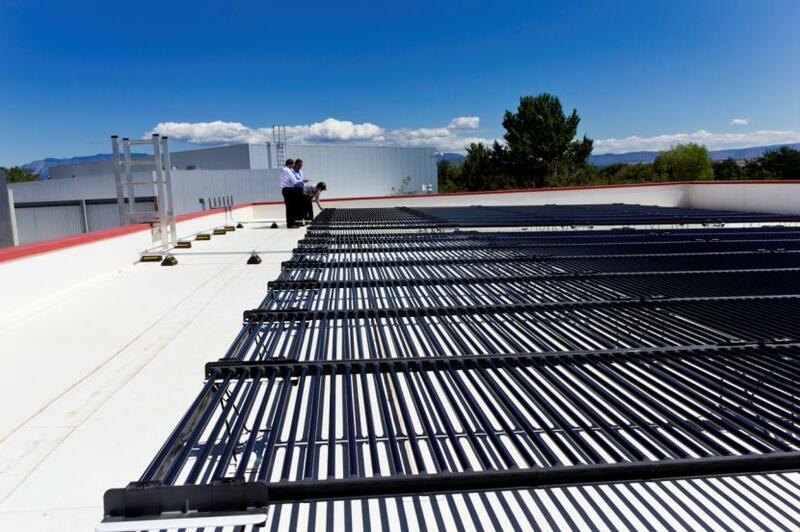 A cool roof can substantially reduce the cooling load of the building providing several direct benefits. 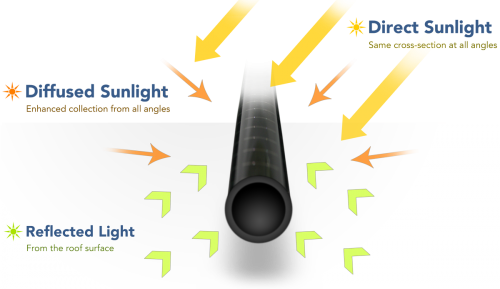 Read more about Solar Thermal Water Heaters. 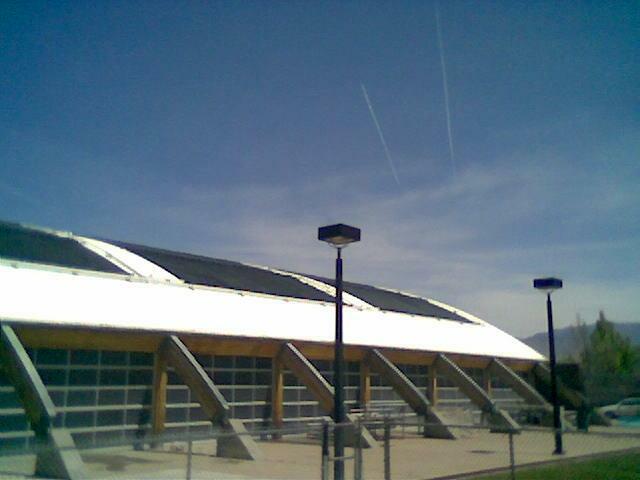 Each of the pools used natural gas fired boilers and/or heat exchangers to heat the pool water. The pool water is heated year round at a constant temperature of 82 degrees F.
Locations: Highland, Los Altos, Sandia, West Mesa High School, and Valley. Read more about City Wide Lighting Upgrades. As the incandescent light bulb fades into history, the two most cost effective lighting solutions are Fluorescent and LED. A comparison between the two identified light costs are approximately the same and both types of light fixtures are doing well in decreasing electric consumption, however maintenance of fluorescent is significantly higher. 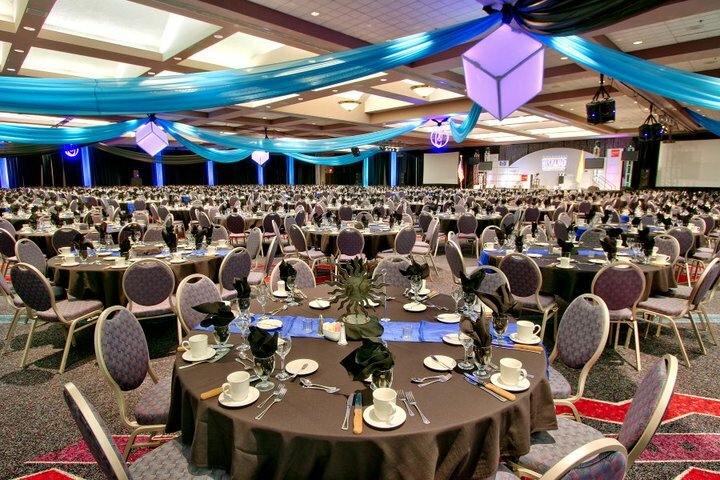 The City of Albuquerque is leading the way for these lighting improvements. 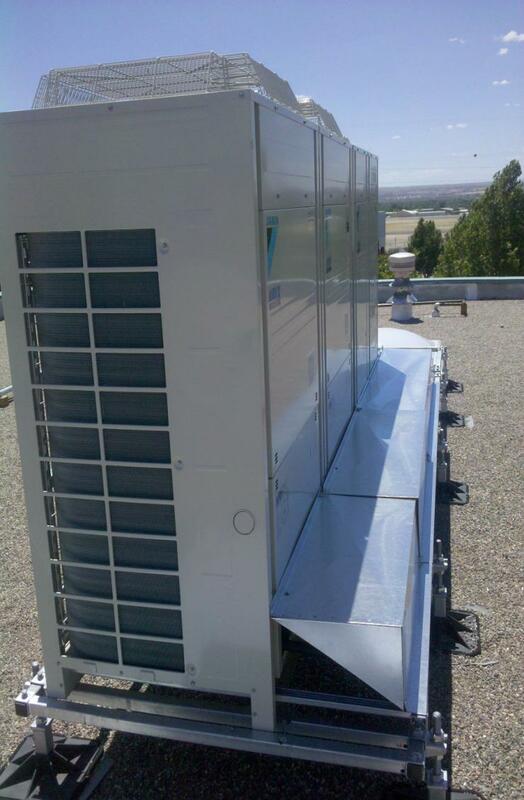 Read more about HVAC Energy Efficiency Upgrades. 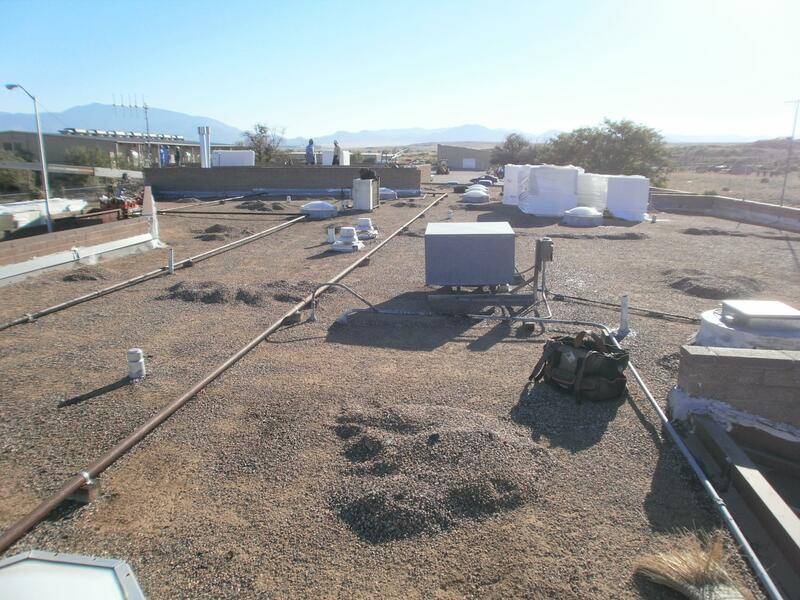 HVAC projects consisted of upgrading mechanical equipment by replacing parts of existing equipment, or designing complete systems for contractor bid. Designs and associated bid packages were developed for Solid Waste and West Side animal shelter. 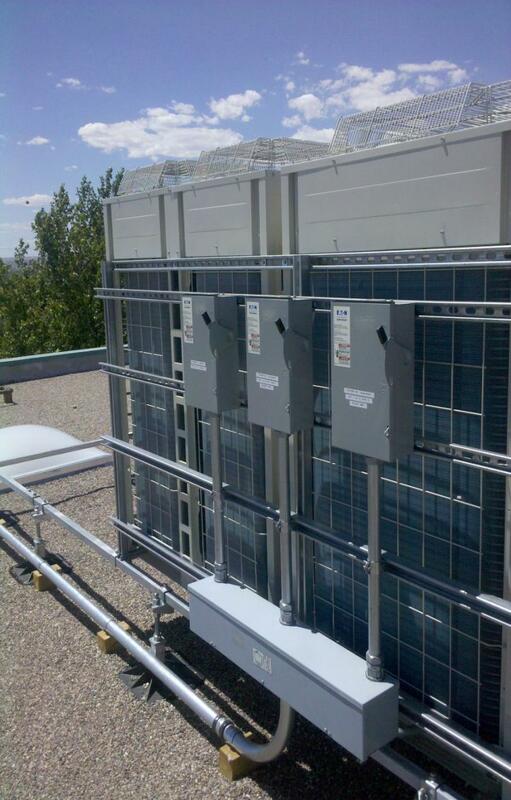 Read more about City Wide Energy Efficiency Devices. 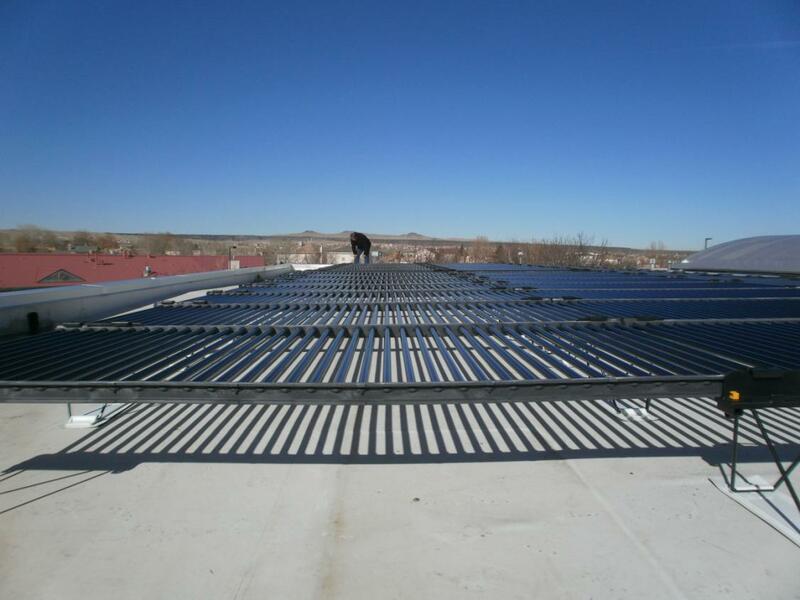 One of the first projects mandated by Mayor Richard J. Berry was to address 'low hanging fruit' for energy efficiency with the shortest 'payback' period. Immediately, the Department of Municipal Development addressed such issues as watt stoppers at employee's desks, motion sensors for office lighting across the City, and more.